Comment: We want to get the foundation and drainage inspected and get an estimate of time and cost involved because there is a musty odor all through the house. Comment: 10ft by half foot area next to the garage is not level with the rest of the home . I thinks it related to termites. its a small area its one wall that is receding in to the ground I need a foundation repair. Comment: we have water under the house during rainy season. Comment: There's a large crack in my slab foundation in the garage. The floor is slanted now. It appeared around the time a large construction project began down the street from our house. 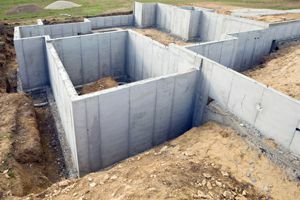 Comment: I would like to get an estimate for foundation drains. Comment: Need foundation assessment for earthquakes and floors are not level. San Mateo Foundation Contractors are rated 4.71 out of 5 based on 85 reviews of 7 pros. Not Looking for Foundations Contractors in San Mateo, CA?